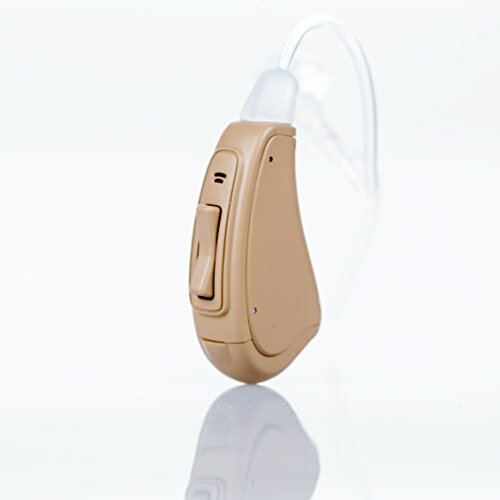 Hearing amplifiers, also known as personal sound amplification products (PSAPs) or non-prescription hearing aids, are now enjoying huge demand in the US market — no thanks to the ridiculously high prices of prescription hearing aids, which have been — and are still — the ideal solutions for people with mild to severe hearing loss. Interestingly, many of these hearing amplifiers have been proven to work as effectively as traditional hearing aids for the correction of varying degrees of hearing loss, which is one of the most common health problems in the US. One of these widely commended options is the Otofonix Hearing Amplifier. This post is an in-depth review of Otofonix hearing amplifiers. Do these devices really work? Are they really worth the hype they currently enjoy? Or are they just bunch of crappy products that aren’t worth buying? Read on to know what I recently found out about the Otofonix range of hearing amplifiers. Otofonix Hearing Amplifiers: Who Makes Them? 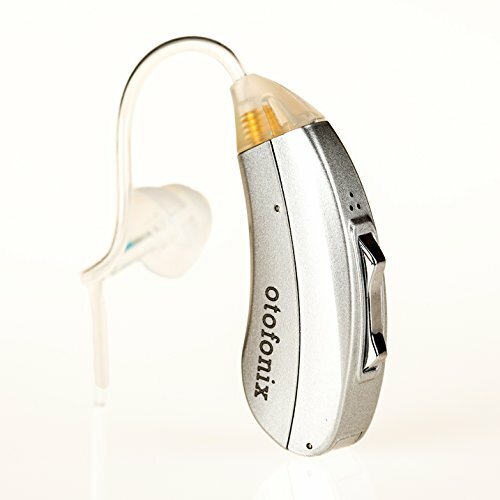 The Otofonix range of hearing enhancement devices are manufactured by Otofonix, a company headquartered in Huntersville, North Carolina, United States. The company has an assembly plant in China and claims to use top-quality components sourced from the US and European markets in the design and creation of its products. The company was co-founded by Sigmund Ancerewicz, a board-certified ear specialist who managed several patients for varying degrees of hearing loss for over 25 years. He was motivated to start the company after he suffered hearing loss himself and was faced with the only option of paying a staggering $7,000 for a pair of prescription hearing aids. After designing an affordable hearing enhancement for himself that really worked for him, he decided to start a company that would focus on manufacturing top-quality, yet affordable hearing enhancement devices. This was after the 2009 court ruling permitting the sale of “over-the-counter” hearing enhancement devices. Otofonix Hearing Amplifiers: What Do They Look Like? All the models in the Otofonix range of hearing amplifiers are “behind-the-ear” devices. That is, the device body is hidden behind the ear, while the earpiece is tucked into the ear canal. Both parts are connected by the ear hook and sound tube. For comfort, the earpiece has a removable rubber tip on it. This comes in various sizes to ensure that the every user gets the best experience from their device. On the device body, there are number of components. These include the volume control and preset program selection switch. This switch can either be in a rocker-style form or a simple button form, depending on the model. Just above the switch lies the microphone, which picks up sound from the environment before amplification starts. Below the control button is the battery compartment. Otofonix hearing amplifiers are tiny and lightweight, which makes them a perfect match for users who have a high requirement for concealment. Note, however, that each unit is made for either the right or left ear. Not ideal for: People with severe or profiund hearing loss. Product pack contains: 1 hearing amplifier device, 1 storage case, 3 open-dome ear tubes (small, medium, and large), 1 medium-sized closed-dome ear tube, 1 medium-sized hybrid-dome ear tube, 1 cleaning brush, 1 cleaning wire for ear tube, 1 pack of size 312 batteries (6 pieces), and 1 user manual. Designed for: People who struggle to hear conversation over long distances or in noisy environments, and people who find it hard to understand soft speech. Not ideal for: People with severe or profound hearing loss. Product pack contains: 1 hearing amplifier device, 2 formed sound tubes of different sizes, 1 protective storage case, 3 open-dome ear tubes (small, medium, and large), 1 medium-sized closed-dome ear tube, 1 medium-sized hybrid-dome ear tube, 1 cleaning brush, 1 cleaning wire for ear tube, 1 pack of size 312 batteries (6 pieces), and 1 user manual. Perfect for: People who have issues hearing conversations over the phone (the telecoil function is specifically added for this reason). Product pack contains: 1 hearing amplifier device, #2 sized sound tube and medium magic dome, 1 protective carrying case, 3 open-dome ear tubes (small, medium, and large), 1 medium-sized closed-dome ear tube, 1 medium-sized hybrid-dome ear tube, 1 cleaning brush, 1 cleaning wire for ear tube, 1 pack of size 312 batteries (6 pieces), and 1 English user manual. How Do Otofonix Hearing Amplifiers Work? Using any Otofonix hearing amplifier is pretty easy. After unboxing the package, your first step is to open the battery compartment, which forms the base of the device’s body. Then insert a battery (six batteries already included in the pack), and close the battery compartment door. If the battery compartment door does not close easily, don’t force it, as you may have inserted the battery wrongly. Note that Otofonix hearing amplifiers don’t have dedicated on/off buttons. Once you insert the battery, the device is powered on automatically. And that’s why it’s recommended that you leave the battery compartment door open when you want to go to bed at night, or when you want to leave the device unused for a long time. In our opinion, this isn’t so cool, since a simple on/off switch would have been better. To wear the device, simply place the body behind the ear, pass the ear tube over the ear, and carefully insert the ear dome into the ear. Ensure that it fits snuggly into the ear canal. The ear dome has a “tail” attached, for easy pull-out from the ear. To increase the volume of the device, simply tap the upper end of the rocker switch, and you’ll hear a beep indicating a change in volume level. When you reach the maximum volume level, you’ll hear a shorter high-pitched beep, instead. To toggle between preset hearing programs, press and hold any end of the rocker switch for 3 seconds. You should hear a number of beeps indicating the specific program employed. The preset programs vary by model, so you should check your manual to know what number of beeps represents what program. To get the perfect settings for your hearing, you might have to keep tweaking for several hours. You might even have to switch from one sound tube to another until you get the one that gives the best feedback. The microphone picks up sound from the environment and sends it to the processor. The processor then sends the output sound (after amplifying it and cancelling out unwanted noise) through the sound tube into the earpiece. The Otofonix Encore comes with two directional microphones, which provide enhanced adaptive noise reduction and amplification of focus sounds. Do Otofonix Hearing Amplifiers Really Work: What Are Users Saying? It would be wrong to pass a judgment on the Otofonix Hearing Amplifiers based on our own findings only. So, we decided to check out what people who have bought and used the products have to say about them. We checked a number of reputable online marketplaces for buyer reviews on the three models of Otofonix Hearing Amplifiers, and the average rating was excellent for all of them. Most users particularly commended the flexibility provided by the different preset programs and additional accessories. A good number of users were also impressed by the device’s long battery life. 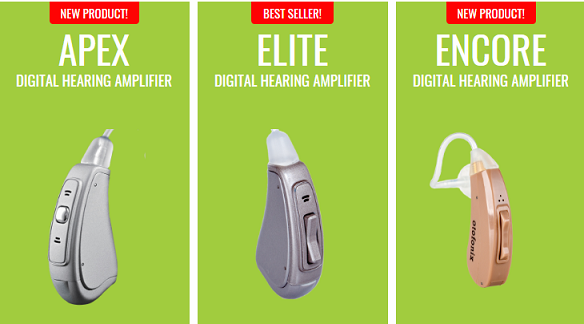 Otofonix Hearing Amplifiers are among the most reliable options available in the hearing amplifier market. And they have been proven to work effectively to improve hearing loss. 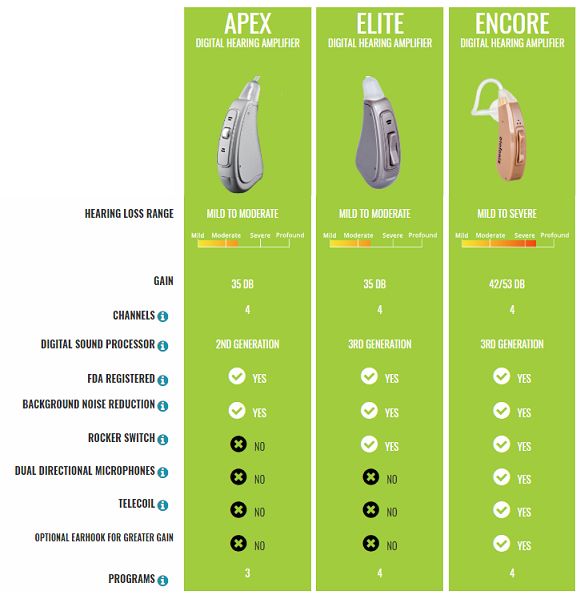 If you have mild to moderate hearing loss, you’d be fine with either the Otofonix Apex or Otofonix Elite. 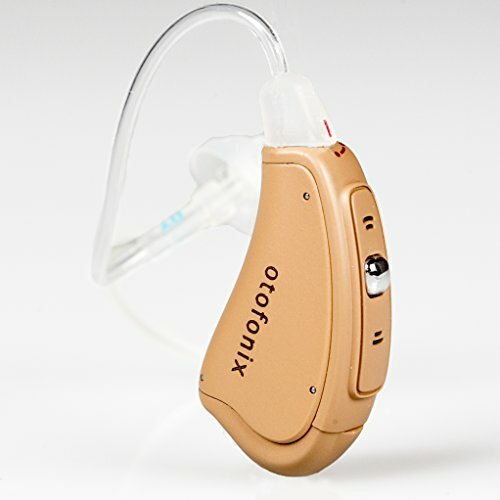 But if you have severe hearing loss, the Otofonix Encore is your best bet. With good battery life and impressive flexibility, these devices are more than likely to give you the better hearing experience you wanted. If you’re looking for far cheaper alternatives to prescription hearing aids, the Otofonix range of hearing amplifiers are great options to consider.